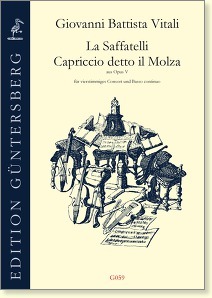 "The Sonata La Scalabrina by Vitali was written, as the preface to the edition testifies, for instruments of the violin family. 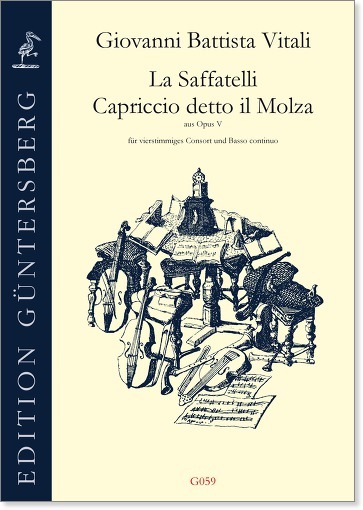 The neutral string style in which it is written does not, however, rule out playing it on viols, and its slightly old-fashioned 'patchwork form' and texture (in five parts) might make it more suitable for viols. There is certainly nothing uncomfortable to play: the treble parts stay on the frets, and the enequal tenor parts ... are perfectly reasonable. The piece falls into rather short sections, alternating fast and slow, with central Grave having interesting repeated note figures, perhaps indicating bow tremolo. The bright opening, contrasts of texture and mood and an element of motivic unity make the piece very satisfying to play. The continuo part is not absolutely necessary to performance."